Revive is a Full Body, High Intensity, Low Impact workout that gives you the RESULTS you want while saving your joints. Our small group, coach led classes are designed for those who want to reach their personal best by feeling stronger and more confident. 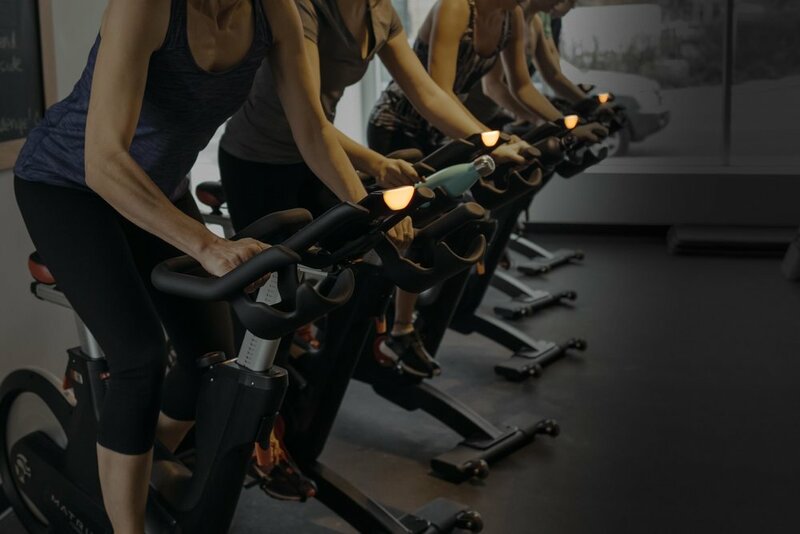 Revive yourself with our game-changing 55 minute personalized fitness experience. Our signature class is a 55-min low impact, heart pumping, H.I.I.T. workout using cycling, water rowers, kettlebells and TRX. Our Matrix IC7 bikes personalize the class to you through the Coach by Colour system. We discover your fitness level on the bike through a FTW (functional threshold wattage) calculation and tailor the intensity on the bike to you with our 4 colour training zones. You will be challenged through a combination of cardio, core and strength intervals to bring out your personal best – all in under an hour! Our workouts change daily so that you don't plateau - keeping workouts fresh and fun.